The Minnesota Democratic Party hired an outside lawyer to probe an ex-girlfriend's allegation that Ellison once physically abused her. ST. PAUL, Minn. — An ex-girlfriend's allegation that Minnesota Rep. Keith Ellison once physically abused her could not be substantiated because she refused to provide video she said she had of the incident, an attorney hired to investigate the claims concluded in a draft report obtained Monday by The Associated Press. 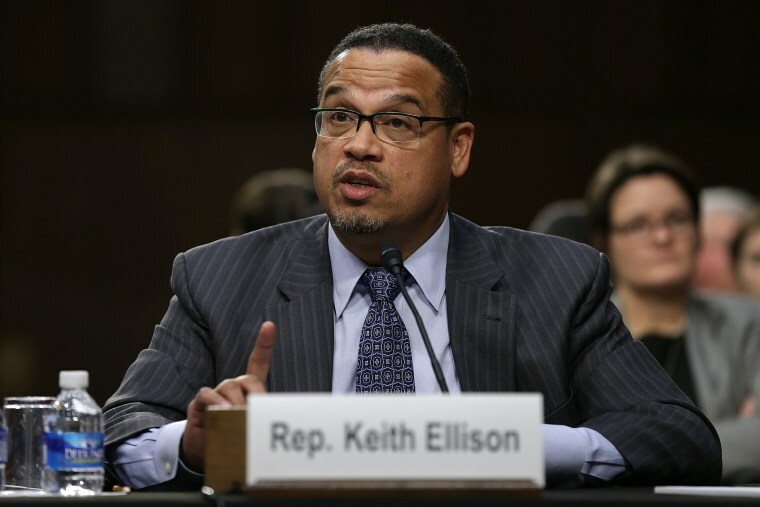 The report was compiled by Susan Ellingstad, a lawyer hired by Minnesota's Democratic-Farmer-Labor Party to investigate the allegation against Ellison. The Democratic congressman has denied the allegations. The state's Democratic party launched an investigation into the allegation, retaining a local attorney with links to the state party to determine whether the alleged incident took place. Democratic party chairman Ken Martin said last week he expected the investigation to conclude soon. A draft report obtained by the AP notes Monahan's shifting rationale for refusing to produce the video footage, including that it was lost, was on a USB drive in storage and that it would be too embarrassing and traumatic to release it. "An allegation standing alone is not necessarily sufficient to conclude that conduct occurred, particularly where the accusing party declines to produce supporting evidence that she herself asserts exists," Ellingstad wrote. "She has thus repeatedly placed the existence of the video front and center to her allegations, but then has refused to disclose it. Ellingstad is a partner at the law firm with the state party's top attorney, Charlie Nauen. Neither Ellingstad nor Monahan immediately responded to requests for comment. The Democratic party did not immediately confirm the report's authenticity Monday.